Mercedes Benz itself represents unmatched luxury, and it is arguably one of the most sophisticated vehicles ever manufactured. With intricate designs and unique engineering, the vehicle should be handled carefully. If you are the proud owner of a Mercedes vehicle and are looking for a reliable auto repair facility in Knoxfield, look no further than Fineline Automotive. With over 25 years of experience in the automotive industry, we can carry out servicing and repairs on all models of Mercedes vehicles. Here at Fineline Automotive, we have factory trained car mechanics who can get your Mercedes up and running in no time at all. 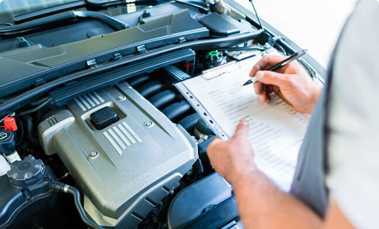 Whether it is a logbook servicing or general maintenance, our mechanics have the most up-to-date diagnostic tools that allow us to service your vehicle efficiently and swiftly. If you have trouble with your vehicle’s engine, gearbox or electronic parts, make us your primary choice for affordable Mercedes repairs. We are equipped with the state-of-the-art tools that allow us to resolve all electrical and mechanical problems right away. With us, you can be rest assured that all your vehicle’s problems are fixed without voiding the manufacturer warranty. Sedans: C-class Sedan, E-class Saloon, S-class Saloon & Mercedes Maybach. Estates: C-Class Estate, E-Class All-Terrain. Shooting Brakes: CLA Shooting Brake, CLS Shooting Brake. Coupes: C-Class, CLA Coupé, CLS Coupé, E-Class, GLC Coupé, GLE Coupé, S-Class, Mercedes AMG GT Coupe. For further questions about our range of Mercedes services or to request a free estimate, give us a call at 03 9764 1655. We would be more than happy to help you with your Mercedes repair needs.